Around this time of year, spring cleaning can mean more than tidying up your front closet and putting away the parkas. After an indulgent winter of heavy, creamy, rich dishes and a few too many warming glasses of wine (or whiskey) necessary for the soul when the frigid wind is howling outside, it’s time to clean house, inside our own bodies. I truly believe a natural, holistic approach is most beneficial, and naturopathic doctors seemingly show more interest and concern for individual needs and focus. Dr. Renata Taravski, N.D., is certainly no exception to the rule and insists there is no one-size-fits-all for a detox plan. Carefully curating programs after individual assessment, the good doctor ensures results are achieved mindfully, healthfully, and most importantly, independently from other influences, as every person is different. 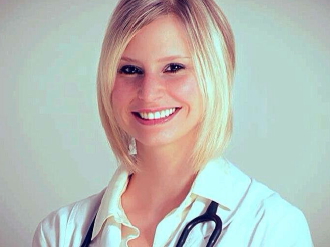 Chatting about her practice, Dr. Taravski shares her completely balanced and holistic approach to a detox. What exactly is a cleanse or detox? Is there a difference? There is a difference between a cleanse and a detox. Most people use the terms detox and cleanse interchangeably. However, here is my take on the difference between the two. A detox is our bodies natural process of neutralizing or eliminating toxins from the body. A detox is also focused on abstaining or minimizing our exposure from toxic or unhealthy substances. In such cases, a detox may be advised after exposure to chemicals such as pesticides, overindulgence in alcohol or food, use of certain medications or chronic stress. I recommend doing a detox at least once or twice a year. Our daily toxin exposure through air, food, water, cleaning and personal products, on top of stress, is a burden to our bodies. On the other hand, a cleanse provides more support for the organs of detoxification, including the colon, lungs, liver, and kidneys. We are actually working on cleaning up these organ systems through the use of food, supplements, herbs and practices to get these internal organs functioning to the best of their abilities. By doing this we are able to eliminate toxins more efficiently. I recommend doing a detox at least once a year at the onset of spring. What exactly must you do to cleanse or detox? When people decide to embark on a detox to rid themselves of toxins, they tend to only focus on food and drink. A more holistic approach to detoxing involves much more than simply drinking juice for 5 days and spending most of your time in the washroom! It’s time to move away from the “one fits all detox plans” and instead develop lifelong strategies that will help you to achieve long lasting rejuvenation by maintaining optimal weight, health, and well-being. In addition to personalized dietary recommendations, herbs, supplements, and therapies, below are a few of the essential elements that I keep in my detox toolbox. Exercise is a well-known way to improve mood, flexibility and strength. But did you know that exercise improves detoxification? Every time you take a deep breath during an exercise routine, the diaphragm and all of its related muscles move and pump our lymph system, improving the movement of toxins stored in our tissue. You don’t have to join a gym or spend hundreds of dollars on workout classes. Simple activities like taking the stairs, 10 minute stretching breaks, or 15 minute workouts at home are all great ways to increase your activity level and improve detoxification. Simple exercises can be designed to match your daily routine, body, and health needs. All of our commonly used lotions (I like to call them potions), increase toxic exposure. Your skin is the largest organ in the body and an important organ of detoxification and elimination. If your goal is to detoxify your body, make sure you give extra attention to what you are putting on your skin. Many soaps, creams, make-up, laundry detergents and cleaning products are loaded with toxic chemicals. Consider changing over to less harmful products and not wearing make-up during your detox. Book an appointment to discuss which toxic products you should be avoiding, what products would make healthy substitutes, and to learn more about holistic skin care practices. Does the thought of going anywhere without your iPhone cause anxiety? Do you get distracted by social media every time you’re near a computer? Do you wake up and immediately check your phone or emails? Have you started seven projects this week but completed none? Sounds like it’s time to take a little break from technology. Experts recommend tech detoxes to help us unplug from devices and reconnect with ourselves and those we love. While I’m extremely grateful for technology, there are a few downsides: elevated stress hormones (cortisol); headaches and eyestrain; disconnecting with family, friends and ourselves; long sedentary hours; a loss of focus; and increased weight gain, anxiety and depression. While it is next to impossible to avoid technology, minimizing our exposure to it can have profound benefits on your thought patterns and health. Shift your thought patterns and you will shift your life, as the mind is a very powerful tool. When detoxing your body remember to detoxify your thoughts as well. We often don’t realize how many negative thoughts go through our mind every day. It is estimated that approximately 87% of our self talk is negative! Even five minutes of mindfulness practice can set a calmer tone for your day. Mindfulness helps us come into the present moment and ground ourselves to the here and now (here I am in space; right now in time). Cultivating that pause each day for only five to ten minutes will help you to anchor back in when the day’s busy schedule reaches a crescendo. I enjoy working with patients to assist in their understanding of how the practice of mindfulness can increase their energy, improve their mood, and decrease their stress levels. How long do you need to stick to a cleanse or detox to see results? It varies with every individual. The average detox is about 7-14 days, however some people need a shorter time frame and others a longer time frame. We are all unique and all of our bodies function differently. Also, every individual may have different goals to achieve on their detox/cleanse and the time frame will then depend on how long it will take them to achieve their goal. That is best determined when working alongside someone such as a Naturopath where you can work together to come up with an individualized detox plan best suited to your individual needs. What are your thoughts regarding juice cleanses? There are many health benefits of drinking freshly juiced fruits and vegetables, and it’s a great way to add nutrients to your daily diet. However, be mindful when it comes to claims stating that juicing is the only way to stay healthy, solid foods must be avoided or that juicing is a substitution for a medical diagnosis or treatment. Juice cleanses are not for everyone. Doing a juice cleanse can be challenging whether its for a few days or a month. What people need to realize is that its most important to consider what you’re putting into your body every day. People think that by going on three day or 30 day juice cleanse or detox is going to make them instantly healthy and they can than revert back to their normal, perhaps unhealthy diet. I think people can look at juicing as a healthy add-on to a healthy way of living to incorporate more fruits and vegetables into their diet. It is important to consult with your health care practitioner to ensure that a juice cleanse would be appropriate for you. This is especially important if you are diabetic, taking prescription medications, pregnant, nursing or have serious or chronic health concerns. Some people tolerate juice cleanses just fine, but many find them extremely difficult, especially if they are still trying to maintain a busy work or school schedule. Many celebrities and their trainers have their own versions of the best way to cleanse and detox. Are they as safe and effective as they claim to be? As a result of celebrity endorsements and marketing campaigns, we have recently seen a movement in detox dieting as a quick-and-easy means to achieve weight loss and toxic symptom relief in a short period of time. Sure, losing 5-15 pounds in one week by doing a “detox-in-a-box” is instant gratification, but what mainstream media fails to mention is that fast weight loss can wreak havoc on your metabolism. What’s worse is that the weight you lost quickly returns as soon as you go back to your regular diet. Celebrity detox packs or cleansing programs tend to have a one fits all approach to detoxification, which is not realistically transferable to every individual since we are all different. A proper detox is to lower our bodies burden of toxins, eliminate impurities, self-regulate, and to optimize our bodies physiologic functioning. Since a cleanse or a detox can also flood your bloodstream with toxins, causing unpleasant side effects, it is advisable to work with a health care practitioner, such as a naturopathic doctor, to guide you before, during and after a cleanse or detox program. I advise people who are interested in doing a detox to take advantage of working with a health care practitioner, like a Naturopath, who can help you design a program specific to you and your individual needs. If you have a significant health history, are taking medication, or have unusual symptoms, it is especially important to have these reviewed before starting any type of detox.